Objective: Continue getting to know each other and start moving outside comfort zones. Continue Introductions: Name, work, and favorite dessert. Show & Tell: Students from last week present any item that reminds them of an Anglophone country. Partner Discussion and Presentation: Landmarks in English-speaking countries. 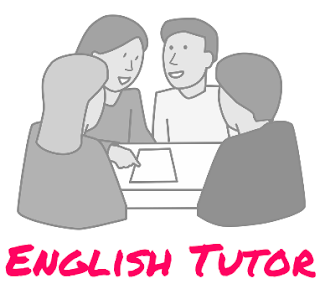 Idioms & Phrasal Verbs: Each student receives one idiom and one phrasal verb to define and use in a sentence; make dialogue with partners, if time. Game: "Stand up if you've ever..." Three minutes to come up with interesting experiences that you don't think anyone else in the class has had. Try to be the only person standing to earn a point for your unique experience. Adding four new students to the mix could have created a different atmosphere, but the class was really able to blend well together. My mother-in-law, Ingrid, was our Anglophone guest, and it was helpful for me to have another native speaker there to partner with students. Only one student did not understand the assignment from last week (to bring an item that represents an Anglophone country), so that is good news that the others understood, and also tells me that I need to put more time into checking for understanding. I will also start to write the homework on the board to help with this. We did not have time to discuss Anglophone stereotypes, and I will use that in a different lesson plan. We did not have time for the phrasal verbs either, and will work on those next week instead of the idioms. The game at the end was great for getting the students up out of their seats, and we all learned some funny and impressive stories about each other. I went over the class time by five minutes, which means I need to start budgeting the time better for nine students instead of five. No problem! Now that the class is complete, I am even more excited - a really fun group of people, and I only have one student who is younger than me! Hooray!